Posted 10:23 am by Social forum & filed under Uncategorized. Posted 4:00 pm by Social forum & filed under Uncategorized. Posted 3:55 pm by Neil & filed under Uncategorized. For my final blog on this CMALTcMOOC and in the spirit of trying out new digital tools, I return (after 3 years away) to the new and improved Padlet. Posted 2:37 pm by Social forum & filed under Uncategorized. Posted 7:46 am by Kate Molloy & filed under Conferences, Ed Tech, Open Practice. 1. What is it all about? 2. How does it work in the VLE? Posted 9:07 pm by ktlindsay79 & filed under Uncategorized. Posted 8:12 pm by Dr Sally Pezaro - https://sallypezaro.wordpress.com & filed under Uncategorized. ‘#pintofscience‘ is a worldwide science festival that takes place 20-22 May and brings researchers to your local pub to present their scientific discoveries. This year I have been invited to present our scientific discoveries in relation to hypermobile Ehlers-Danlos syndrome (hEDS) in the context of childbearing to a Pint of Science audience in …Coventry! Who is invited? Everyone… please spread the word! What Next for Pint of Science? 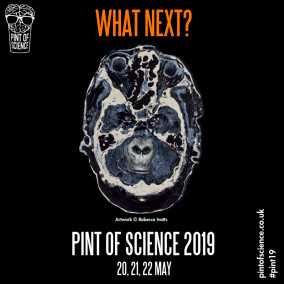 Tickets for #pint19 are on sale from today (8th April 2019)… All tickets will be £4. Click here to learn more. If you would like to follow the progress of work going forward..
Posted 4:14 pm by Social forum & filed under Uncategorized. Posted 7:53 am by Social forum & filed under Uncategorized. Posted 7:47 am by Thomas Cochrane & filed under #ASCILITEMLSIG, CMALT, SOTEL, Statistics.